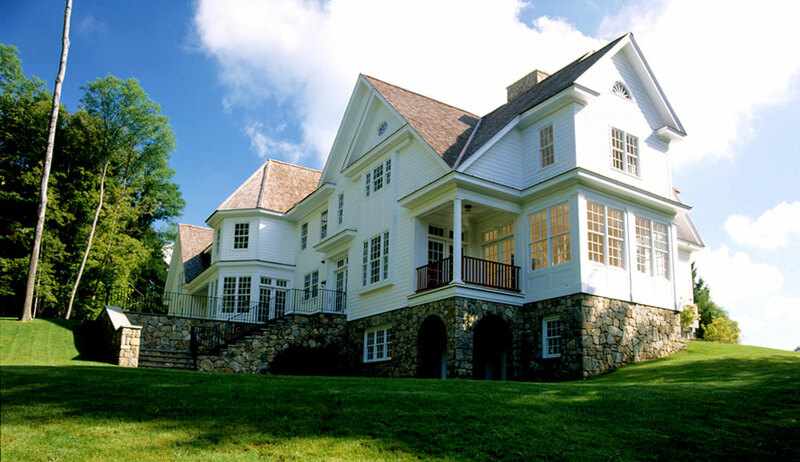 This 9,000-square-foot home is nestled in a wooded area with a pond located behind the new residence. In keeping with other homes in the area, the exterior has the look of a 1930s home, and the stone and clapboard exterior blends in with the surroundings. 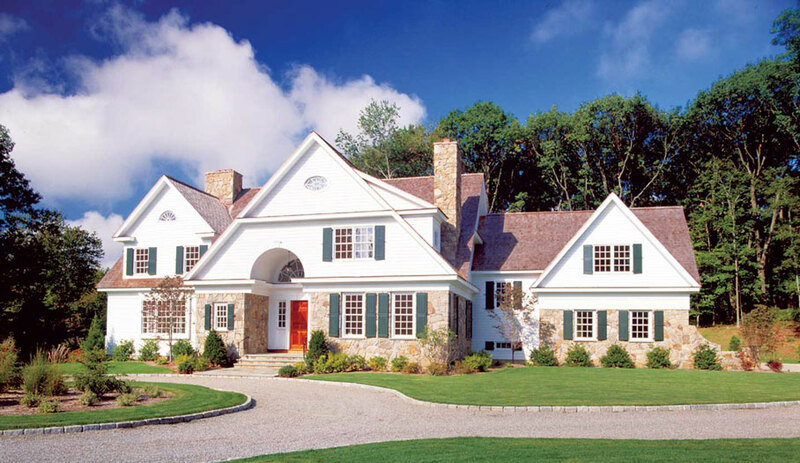 The circular driveway to the three-car garage is oil and stone, and a cedar wood shingle roof gives the home a traditional look. An over-sized mahogany front door brings visitors into a two-story entry foyer with raised panel wainscoting that continues upstairs into the second floor hallway. The first floor rooms all have 10-foot ceilings, and a finished, walkout basement can be used as a pool cabana. (The site was pre-approved for a swimming pool.) 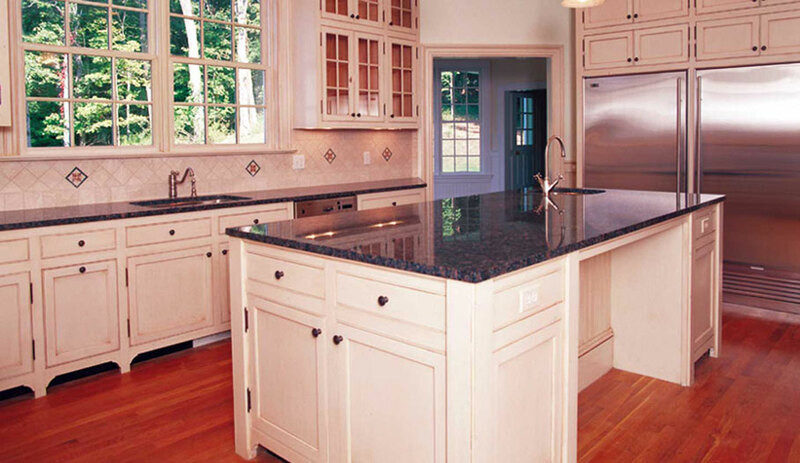 The home offered the builder an opportunity to showcase new materials and building techniques; all of the millwork (wainscoting, fireplace, mantels, kitchen and butler pantry cabinetry, and woodwork for the master bath) was fabricated by Brenner Builders Millshop.